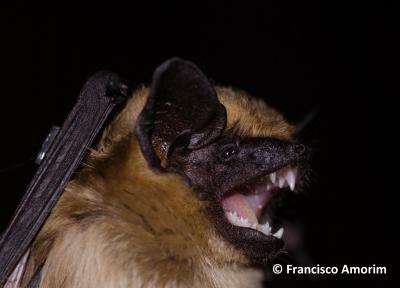 The Isabelline Serotine bat is similar to the Common Serotine, though with a lighter coloured fur, ears and snout. This species favours habitats with dense vegetation and access to areas of water. It is believed to be a crevice-dweller. The Isabelline Serotine bat occurs in the north of the Sahara, from Morocco to Libya, as well as in the south of Iberian Peninsula. It has also been found on the Canary Islands.